With 3 indoor pools (including a teaching pool, lap pool, and kids' pool with splash pad and slides), aquatic classes and swim lessons at American Family Fitness in Fredericksburg, there is something in the water for everyone. Come splash around with us! 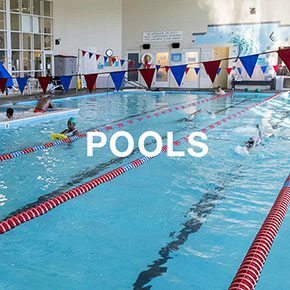 If you enjoy the water, our Fredericksburg gym offers plenty of activities in our indoor pools. There are swimming lessons for every age, aquatic classes for exercise in the water, swim clubs to master your skills, and lots of time for pool play. And with 3 indoor pools (and a separate kids' pool), you can participate even during the cold winter months! At the best gym in Fredericksburg, we provide our members with 3 indoor pools to enjoy swimming even when the weather outside is cold. There's a lap pool for practice and a teaching pool for learning the basics. Kids will enjoy their own pool area, complete with 2 slides and a splash pad. Do you love the water? 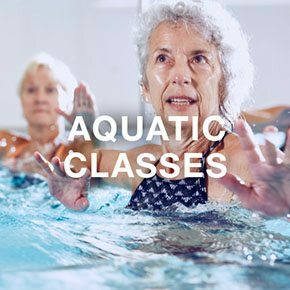 At our gym in Fredericksburg, aquatic classes allow you to strengthen and improve endurance while limiting stress on the joints. Classes are available either in a group or with a personal trainer. It’s a great, relaxing way to get in shape. 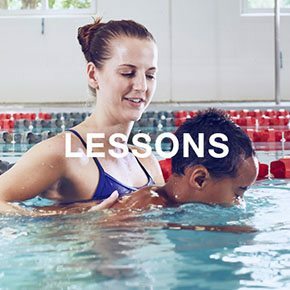 Whether you need to start with the basics or learn new strokes and kicks, certified instructors at American Family Fitness offer swim lessons based on American Red Cross "Learn to Swim" guidelines. Our Swim Club is the best way to perfect swimming skills through practice. It is a great way to learn something new and improve fitness, all at the same time!